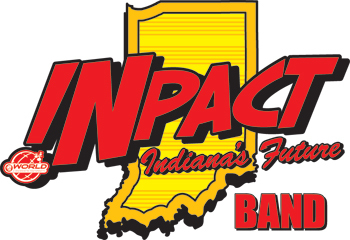 A mass band of middle schoolers will come together during Drum Corps International World Championships for a new unique and inspiring experience as the INpact Indiana’s Future Band. “We’ve always wanted to reach out to middle school level kids but never had the resources to do it,” says Sue Kuehnhold, DCI’s director of events and corps relations. With the Indiana State School Music Association and Indiana Bandmasters Association, DCI has planned a two-day, one-night program. The mass band will perform at the Indiana War Memorial to open the “Celebrate Indy Arts! Parade” and on the field at DCI World Championships Finals with former American Idol participant and music advocate Shaun Canon. Band members will also have a leadership seminar, arts activities, speakers and tickets to DCI Finals in hopes that they are inspired to stay involved with the marching arts.